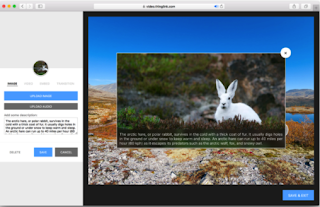 ThingLink offers three unique editors to help you create interactive content:video editor for annotating videos, image editor for annotating images, and 360°/VR editor for annotating 360° images. To use any of these editors, you simply upload your asset, add content and when you are done share with others through an embed code. As a teacher, you can use Thinglink Edu to annotate videos and images you want to share with students. You can for instance, add text over any part of an image to explain a certain point. You can also embed a link directing students to an external resource with more details on the topic you are covering. 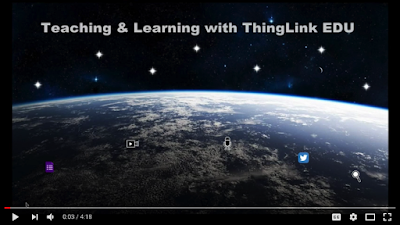 Watch the video below created by Susan Oxnevad to learn more about how Thinglink can help you in your teaching.